I'd like to register my little 1hp Gray open crank to your site. Her serial number is 4 1858 1. 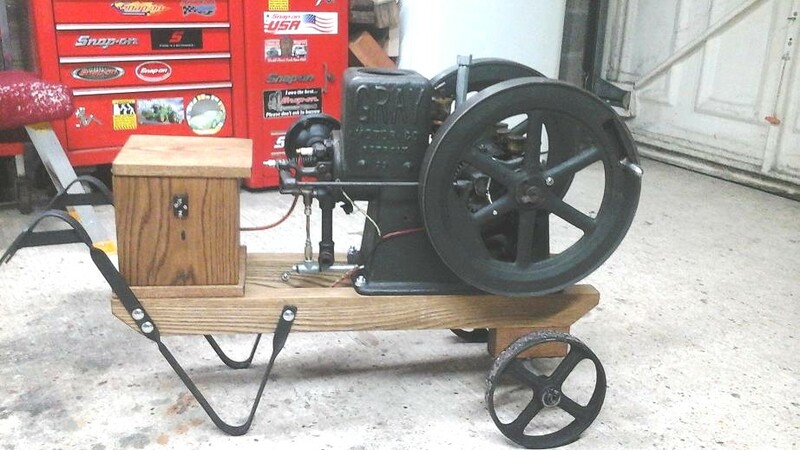 From what I can find out is she's built in 1916.
on a Barrow trolley, but the cam lobe needs rebuilt. I think she's a base model , as it has no roller on the push rod arm.